Last year, I was able to tell two of my most foodie friends about a food neither of them had eaten — and in fact, hadn't even thought about eating. We were getting our produce all summer from "our" farmer, Cheryl Williams of Shani's Farm and Cheryl often put unusual little additions into our veg basket. One week, there were lovely crisp green stalks — something I had never seen and could not recognize. Fortunately, Cheryl had put a little note with them to tell us what they were and some suggestions for serving. When I was telling my friends about them later, I said, "You may know them as bulrushes." 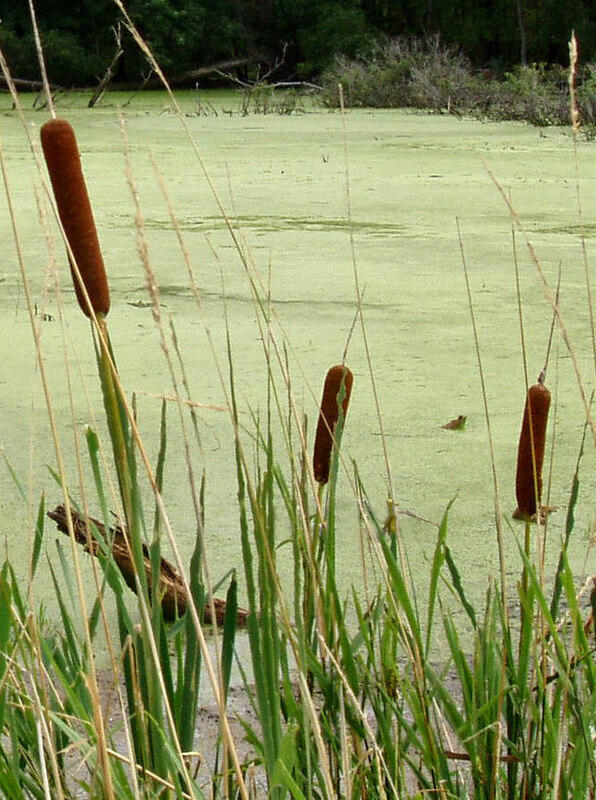 In Cheryl's note, they were called hearts of cattails which made them sound quite elegant. 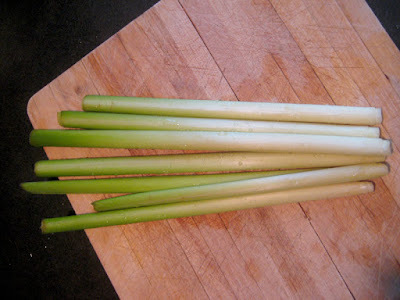 In a note to my friend, I said, "I cooked some last night — sliced as I would a leek. I sautéed them and added some carrots and asparagus (both parboiled) and some herbs for a vegetable mélange. They were really good and you could definitely get a distinctive taste." 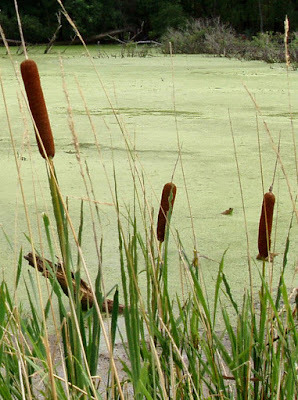 . . .cattails – you may know of them as bulrushes – have been appearing on highbrow menus across the globe. 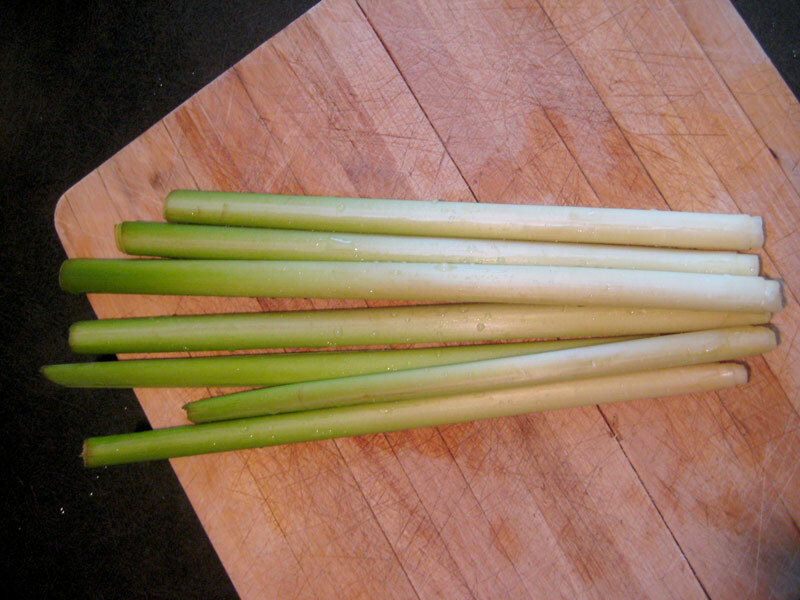 At Rene Redzepi’s Noma in Copenhagen, diners were presented with whole raw cattail stalks, their tender hearts exposed and ready for hand-held munching. Meanwhile, the Los Angeles “culinary think tank” the Amalur Project served its cooked cattails with yogurt and a fine powder of rye and cumin at its four-week-long spring pop-up series. They've come even further than that. Gourmet Sauvage in Quebec has made them fancy and has even pickled them. 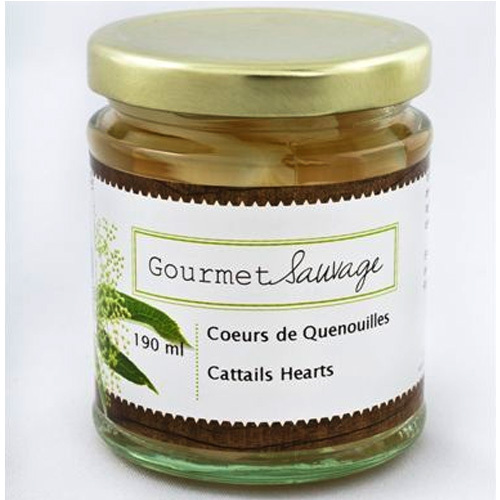 Cattail hearts are the caviar of our wild plants....remindful of hearts of palm, but with a more delicate taste and a finer texture! They're like a combination of tender zucchini and cucumbers, adding a refreshing texture and flavor to salads. Mix them with pungent mustard greens to balance their mildness. Added to soup towards the end of cooking, they retain a refreshing crunchiness. They're superb in stir-fry dishes. Roll in a thin slice of prosciutto or smoked salmon. I definitely recommend them. They're tasty and good for you. Thank you! This is interesting. I built a couple of marshes on my property and seeded one of them with bulrushes which, I was told, are an excellent water purifier. Do you when is the time to harvest them? They are very prolific so I could have some without harming the marsh.